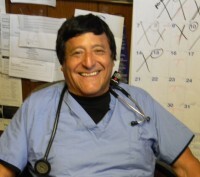 Dr. Silvera founded the Fall River Animal Hospital in 1976. He has been actively involved in the greater Fall River community for many years. Born in Lima, Peru, Dr. Carlos E. Silvera graduated from the Universidad Rural do Brazil in Brazil. He did post graduate work at Texas A & M University for medicine and surgery. He is a member of the American Veterinary Medicine Association, Massachusetts Veterinary Medicine Association – Past President of the Ethics & Grievance Committee, Rhode Island Veterinary Medicine Association, Peruvian Medicine Association, Brazilian Veterinary Association, International Veterinary Medicine Association, and the Fall River Chamber of Commerce. He has a special interest in surgery and orthopedics. 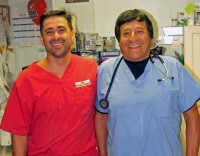 Dr. Silvera and his son, Dr. Carlos A.D. Silvera, work together at the Fall River Animal Hospital and the Swansea Veterinary Center. I am truly excited to be part of such a caring team that works like a family to ensure the well-being of our patients. ed to practice Veterinary Medicine, ever since I took care of my pet hamster at the age of 7. I obtained my degree from Universidad Nacional Autónoma de México, certified AVMA University in Mexico City. I moved to the US in 2014, approved certification for my Veterinary License, and DEA license in Massachusetts. Before, and during my formal education, I worked in several animal hospitals to gain knowledge, experience, and clinical edge. During my last year of college education, I conducted a special surgery program at Willamate Valley Animal Hospital (Oregon), and at ASEC (California). This experience gave me a particular interest in orthopedic surgery, and I continue to practice and attend continued education to learn new techniques and technological aids. I am passionate about my work, in providing families with options and informed decisions for their pets' care. In my spare time, I like to explore the world! Whether it is on a bicycle, kayak, running, climbing or flying, I am always looking for adventure next to my husband and our Australian Shepherd, Kal-El.